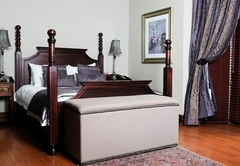 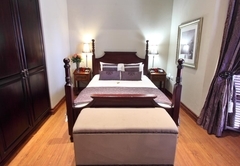 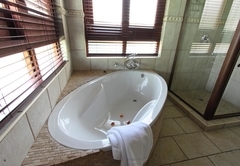 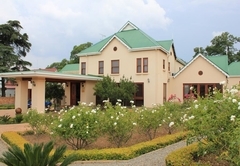 Candlewoods Guest House is a 4 star graded guest house with self catering option, offering Centurion accommodation for tourists and visitors of Northern Gauteng. 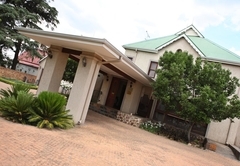 Candlewoods Guest House is nestled in the heart of a rich heritage site in Candlewoods Country Estate, Centurion. 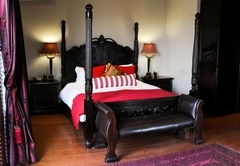 It is a Victorian style building with a pit roof and wooden windows. 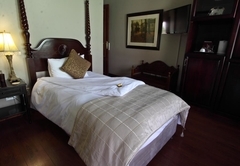 The interior is stylish decorated with rich fabrics and crisp white linen. 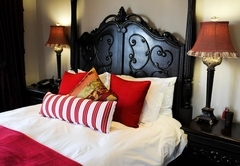 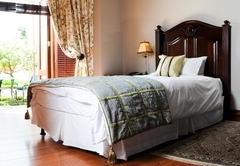 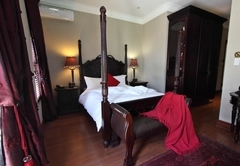 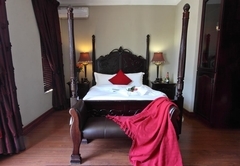 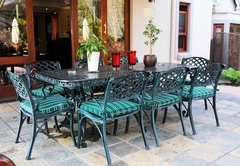 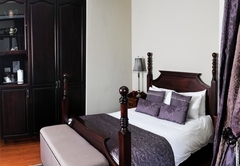 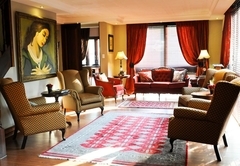 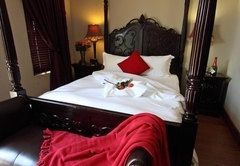 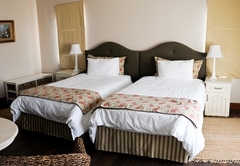 The Guest House dates back to 1859 and is built on a farm originally owned by Rasmus Erasmus. 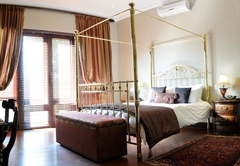 Surrounded by beautiful gardens and a great view over Centurion our guest would find peace and quiet away from the hustle of the city. 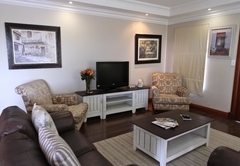 Candlewoods Guest House is situated close to Centurion Lake Mall, Super Sport Park and Pretoria City Centre, Midrand and Johannesburg for those guest who wants to get the city vibe. 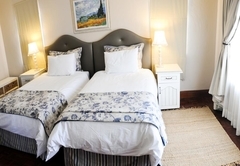 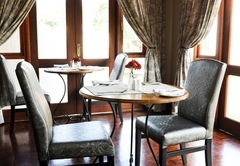 At Candlewoods Guest House, we have 10 beautiful luxurious rooms within the Main House and two Self-Catering Houses each with 3 self-catering rooms with Provence inspired interior. 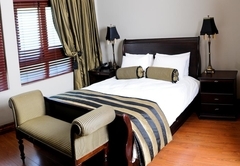 All the rooms are non-smoking and come with first-class amenities, such as DSTV, en-suite bathrooms, mini bars and wireless internet. 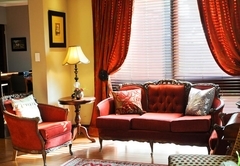 All the rooms are non-smoking and each has fully stocked mini-bar fridges. 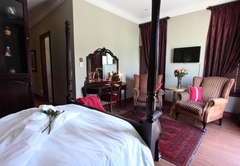 The rooms also have LCD-flat screens with six different DStv channels. 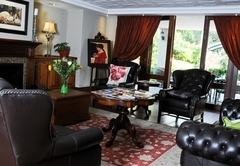 Wireless internet is also available in the Guesthouse. 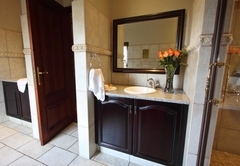 Ein erstklassiges Gästehaus, wir wurden gut angenommen, exzellenter Service und Liebe zum Detail. 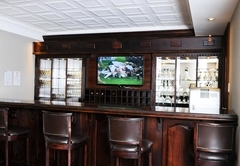 Die Zimmer waren mehr als nur komfortabel und das Frühstück war ausgezeichnet.